What type of water is the healthiest to drink? This question has caused an endless debate among wellness professionals with opinions varying from boiled water to filtered water with naturally occurring minerals. In order to simplify this complex debate, the following article will offer you some facts to help you determine the best way to drink water. Health Benefits of Drinking Mineral Water Research findings have shown that not only is mineral water the healthiest type of bottled water, but drinking this water daily will improve your overall health and well-being. Mostly sourced from springs, mineral water is capable of doing so much good since it’s completely natural and chemical free. More importantly, it’s loaded with essential minerals such as magnesium, calcium, and iron. The nutrient content of mineral water provides many health benefits which all work together to promote healthier bones, balanced blood pressure levels, good digestion, an improvement in skin health, enhancement of muscle performance, the lowering of LDL (bad) cholesterol, plus so much more. As an added bonus, mineral water tastes better. Health Benefits of Drinking Balanced (pH 7.1) Water Short for “Potential of Hydrogen”, pH is simply a measure of how acidic (soft) or alkaline (hard) water is. The range goes from 0-14 with 7 being the neutral value. Generally, acidic water has a pH below 7 while alkaline water has a pH above 7. Many organizations including World Health Organization (WHO) and Environmental Protection Agency (EPA) warn against drinking excessively acidic or alkaline water due to the health risks involved. These can range from skin irritation to gastrointestinal illnesses to kidney damage. Therefore, it’s highly advisable to only drink pH balanced water whenever possible since it helpsyou avoid the health risk that water poses when it’s too acidic or alkaline for the human body. Health Benefits of Drinking Filtered Water Generally, filtered water is regular water that has been passed through a filter system. 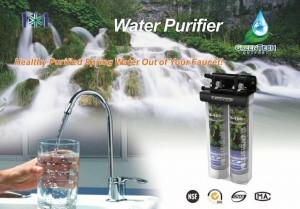 The main purpose of a filter system is to rid the water of lead, toxins, bacteria, and chlorine. Just like mineral water, filtered water helps to improve overall health and well-being. The benefits of this type of water include improved nervous and digestive system, increased metabolism, and properly functioning kidneys. Since filtered water does not contain any chlorine, it reduces exposure to a variety of illnesses including certain cancers and a few gastrointestinal diseases.